In Honduras, at-risk children like Fernando now have hope for better lives. As a young boy, Fernando* was surrounded by violence. “One day, as I left school, I saw how they killed a boy,” he shares. But it wasn’t just his neighborhood he was afraid of — Fernando also experienced violence in his home. Fernando is not the only one living in fear. Honduras has been experiencing record-high violence in recent years and — outside of a war zone — has the world’s highest murder rate. It’s estimated there are 23,000 gang members involved in turf wars and almost daily shoot-outs with police. How terrifying for children like Fernando! God’s Word is greatly needed to bring hope and help to children in these dangerous areas. Fernando could have lost hope. But when he was 10, he accepted Jesus into his heart. Then he received a Bible of his very own. 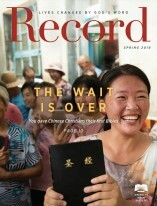 Thank goodness for American Bible Society’s financial partners. 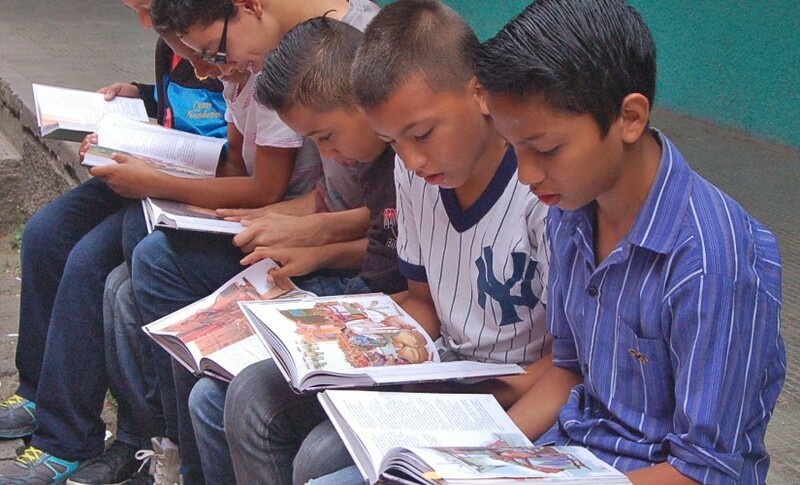 The Scriptures provided help these children lead better lives, especially in areas controlled by gang members. American Bible Society’s financial partners help give the comfort of God’s Word to children like Fernando in many countries around the world. We are grateful for their ongoing investment to help distribute the Good News and engage the people of Central America in Scripture. 3CadaDia reaches young people through social media channels.